9 Responses to Why Was CIA Coup d’état Expert Ed Lansdale In Dealey Plaza When JFK Was Shot? He was a CIA agent at the time; however, he claims (to this day) that he can’t remember where he was when JFK was assassinated. Document Page 1. In the early 1960’s, Israel funneled more than $5 million into US propaganda and lobbying operations. The funding, equivalent to more than $35 million in today’s dollars, was laundered from the the quasi governmental Jewish Agency into an Israel lobby umbrella group, the American Zionist Council. This two page master plan was subpoenaed by the Senate Foreign Relations Committee and discussed in the 1963 hearings on Israel’s US foreign agents. Mass Manipulation Technique studies show they only need 10% of us to work their evil. Interestingly, they do not need all of society to set this transformation in motion, but a relatively small number of people. Scientists at the prestigious Rensselaer Polytechnic Institute (RPI) discovered that even when only 10 percent of the population shares a conviction or belief, the rest of society adopts it. The mathematical models show that there is a sudden leap in acceptance: below 10 percent, the effect is barely discernible, but once the 10 percent mark is reached, the view spreads like a wildfire. regime, as a vassal state to Israel and World Zionism. It’s called a coincidence silly, or at least that’s what Hillary told me. Because the JFK Assassination was A CIA OPERATION. Question: What do Richard M. Nixon (former Vice-President under Eisenhower), LBJ (Vice-President under JFK), Allen Dulles (former Director of the CIA, fired by JFK, after the “Bay of Pigs” debacle), Cord Meyer (LBJ’s “man” at the CIA, and with whose ex-wife JFK had an affair! ), David Morales (CIA), E. Howard Hunt (CIA), Frank Sturgis (CIA), MARITA LORENZ (CIA), Lee Harvey Oswald (CIA/FBI), and Mafia Pilot David Ferrie all share in common? Answer: Their involvement in one or more aspects of the NSC (National Security Council) 5412 Committee’s (CIA) “Operation 40” to ASSASSINATE Cuba’s Fidel Castro. Add (at least) ONE additional name to the list above: Son of BANKER, Prescott Bush ~ Houston, Texas OIL- & CIA-man, George H.W. Bush. NOTE: The above article is based upon the 2003 History Channel (Nigel Turner) Documentary called THE MEN WHO KILLED KENNEDY. 1) MAFIA: Sam Giancana (Chicago, IL), Carlos Marcello (New Orleans, LA), Santo Traficante (Tampa Bay, FL), Johnny Rosselli (Chicago, IL), and Mafia Pilot, David Ferrie. 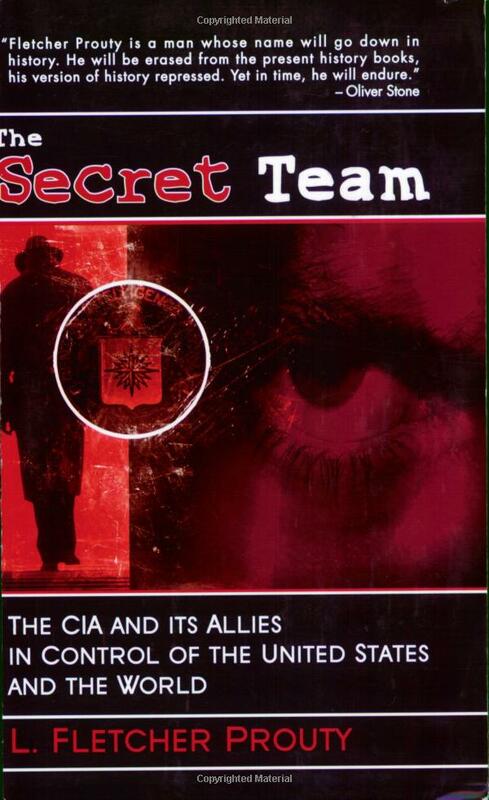 2) CIA: Allen Dulles, James Jesus Angleton, Cord Meyer, William K. Harvey, David Morales, David Atlee Phillips, G.H.W. Bush, George de Mohrenschildt, E. Howard Hunt, Frank Sturgis, MARITA LORENZ, and PATSY, Lee Harvey Oswald. (Note: (1) David Morales and David Atlee Phillips were also positively identified on film, by former CIA co-workers interviewed by Shane O’Sullivan, as being in the Ambassador Hotel, on June 5, 1968, in Los Angeles, the night RFK was assassinated. (Shane O’Sullivan is the author of WHO KILLED BOBBY? and the producer of the video “RFK MUST DIE”) (2) Forensic audio & ballistic evidence proves NOT A SINGLE SHOT FIRED BY SIRHAN SIRHAN EVER HIT RFK! RFK died from a wound that entered the back of his head, right behind his right ear, from close range. This suggests that someone physically very close to RFK, possibly in the security detail, itself, is responsible for the fatal shot. SIRHAN SIRHAN WAS JUST ANOTHER PATSY. 3) U.S. GOV’T: Richard M. Nixon, (VP, under Eisenhower), LBJ (Vice-President), J. Edgar Hoover (FBI Director), Allen Dulles (former CIA Director, fired by JFK), & James J. Rowley, (Chief of the Secret Service), & Gerald Ford (future President). 5) ADDITIONAL NAMES & NOTES: Edward Aubrey Clark (LBJ’s Lawyer), Billy Sol Estes, Bobby Baker, Cliff Carter, Malcolm Wallace, Jack Ruby, (Corsican hit-man, Lucien Sarti? James Files? ), JOHN J. MCCLOY. WHY would LBJ, & J. Edgar Hoover appoint NOT ONLY Allen Dulles (fired by JFK, after the failed CIA-“Bay of Pigs”/”Operation 40” debacle to overthrow Fidel Castro), but also BANKER John J. McCloy to the Warren Omission? What does a BANKER know about forensic evidence, or murder investigations? What kind of perspective could a BANKER provide the Warren Omission? Gerald Ford (future President) was also on the Warren Omission. Just look at what we have here: BANKER Prescott Bush backs Nixon against JFK in the 1960 Election. Prescott Bush’s son, Houston Oil-man and CIA-man, G.H.W. Bush who was in Dallas on Nov. 22, 1963, becomes Director of the CIA at the exact time of the HSCA (House Select Committee on Assassinations, 1976-1977) during which time both Johhny Rosselli and George de Mohrenschildt are found dead, before they could testify before the HSCA. (NOTE: G.H.W. Bush KNEW George de Mohrenschildt, personally. G.H.W. Bush received a letter from George de Mohrenschildt requesting G.H.W. Bush’s assistance, as George de Mohrenschildt felt his life was in danger! No assistance from G.H.W. Bush was forthcoming, however). G.H.W. Bush later becomes Vice-President under Ronald Reagan, then President, himself. After Bill Clinton’s two-term Presidency, G.H.W. Bush’s son, George W. Bush becomes President, and presides over 9/11. Just as his Father “presided” over the JFK Assassination. Did LBJ’s Lawyer, Edward Aubrey Clark “arrange” the Assassination of JFK via Carlos Marcello? Did the Mafia procure the prime hit-man? (Lucien Sarti? James Files?) Did LBJ, J. Edgar Hoover, Allen Dulles, James J. Rowley, John J. McCloy, and Gerald Ford simply COVER UP the crime of the Century? What did Nixon famously say? He said (and I quote): “Both Johnson and I wanted to be president, but the only difference was I wouldn’t kill for it.”) What did Carlos Marcello famously say? He said: “We should’ve killed Bobby.” How convenient that Jack Ruby shot and killed Lee Harvey Oswald before he could get a trial and testify before a Jury. Jack Ruby later died in Jail, from (“galloping”) (rapid-onset) lung cancer, before his 2nd trial. Again, how convenient. No “loose ends” here. Jack Ruby had business dealings with Carlos Marcello. Is it possible, if not likely, that Jack Ruby owed Carlos Marcello a favor? That may be why Jack Ruby took Lee Harvey Oswald OUT of the picture, before Oswald could testify before a jury. How was Oswald able to renounce his American citizenship, move to the U.S.S.R., get a job there, and marry a Russian woman, and then later return to the U.S., without ANY problem whatsoever, and get a job at the Texas School Book Depository (owned by D.H. Byrd), during the COLD WAR? It ONLY makes sense, once you discover, that Lee Harvey Oswald was a low-level CIA employee/operative. He was also a paid FBI Informant. J. Edgar Hoover knew who Lee Harvey Oswald was, long before Nov. 22, 1963. What do Richard M. Nixon, LBJ, Allen Dulles, Cord Meyer, David Morales, E. Howard Hunt, Frank Sturgis, MARITA LORENZ, Lee Harvey Oswald, and Mafia Pilot David Ferrie all share in common? Answer: Their involvement in one or more aspects of the NSC 5412 Committee’s (CIA) “Operation 40” to oust Castro. Keep all of this in mind, and re-read the articles (above), and re-view the videos. It’s ALL there. Or very nearly so. 1) JFK was shot in the back, in the throat, and twice in the head, from AT LEAST 3 separate directions! There it is ~ evidence of actual CONSPIRACY. The “kill-shot” came from the area of the Grassy Knoll. This is proven by the Parkland Hospital forensics. Please keep all the foregoing in mind, when researching this topic. Landsdale is best known as the leader of Operation Mockingbird but his “deep state” credentials begin with bringing back the “Golden Lily” loot discovered after WW2. Perhaps a trillion dollars in 1945 dollars was confiscated from the Japanese at the end of the war. The money was washed through Rockefeller to offshore CIA front companies. This loot permitted a secret fund to fix elections, and engage in all sorts of “black operations” without any worry of oversight from Congress. We know that JFK was shot from the front and who [the many] was behind the over through of our Constitutional Government. Any discussion of the JFK coup d’etat without discussing the central Jewish role is diversion. There is no part of the planning or the cover-up that does not involve Jewish interests. Even Jim Garrison was bribed and or co-opted by Jewish interests. The Italian Mobsters were controlled I Jewish Mobsters like Hyman larner and Meyer Lansky.